We know that diet plays a critical role in your overall health. In fact, when we learn to view and use food for medicine, we can make smarter choices that impact the way our body functions, feels and looks. As a leading facial plastic surgery practice and medical spa in Beverly Hills, we value whole body health and recognize that the way we eat can do more than just keep us healthy. In fact, just learning more about protein can help you consume it in a way to improve your sleep, energy, blood sugar levels and more. Eating right can change the way your body feels, as well as how you feel about your body! In this blog, Jasmine Talei helps us understand protein and how to be strategic about your intake. Here are some FAQ’s to help you choose the right protein at the right time of day in order to benefit your body most. What role do amino acids play in certain protein sources? 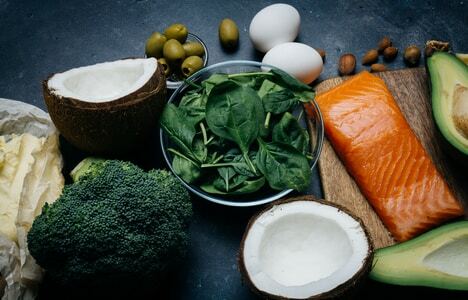 When choosing protein sources, it is useful to understand the effects of certain amino acids, which are known as the building blocks of proteins. For example, the amino acid cysteine boosts anti-oxidant production, while phenylalanine increases serotonin production. Lysine rich foods have been shown to reduce cold sore outbreaks, while arginine rich foods tend to exacerbate the condition. How can proteins help you maintain a healthy weight? Proteins help keep you satiated and improve energy levels throughout the day. How can proteins be used to balance blood sugar levels? If you have an imbalance in your blood sugar levels and find that snacking throughout the day is necessary, then consuming a handful of nuts when eating fruit can be beneficial to help stabilize your blood sugar levels. Can protein be used to improve sleep? For those who are struggling with poor sleep, turkey should be considered as a main protein source. Turkey contains high levels of tryptophan that will help with relaxation and sleep. The Dietary Reference Intake is 0.8 grams of protein per kilogram of body weight. Which protein source is best? Being aware of our bodies and how we react to certain foods is the best way to determine which protein sources are best for us. In general, it is most beneficial to consume proteins that are nutrient dense and offer a wide range of benefits. For example, walnuts are a great source of protein as well as a great source of omega-3 fatty acids, which have many other health benefits as well. Other great protein sources include wild-caught salmon, grass-finished beef, lentils, oats, eggs, quinoa, and even dark green vegetables. For more insight on how to use food as medicine, please contact our Beverly Hills clinic. 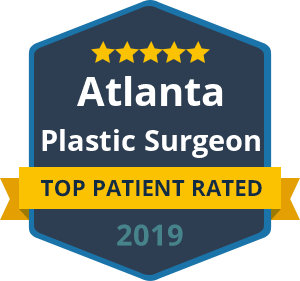 As an elite facial plastic surgery center and medical spa, we are renowned for how we help patients improve their outward appearance. However, we are keenly aware of the impact that nutrition plays in helping patients both feel and look better. Whether it’s battling a chronic illness or seeking increased vitality, Jasmine loves helping others reach their optimal health. Jasmine has a variety of tools at her disposal to achieve wellness by addressing the root cause of symptoms, in the least-invasive way. By providing individuals with the proper support, Jasmine wishes to empower each person to take charge of and advocate for their own health.